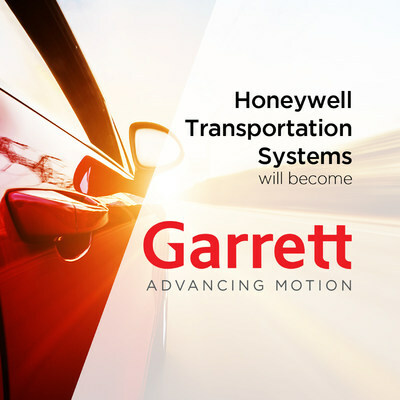 MORRIS PLAINS, N.J., June 14, 2018 /PRNewswire/ -- Honeywell (NYSE: HON) today announced that its Transportation Systems business will rebrand itself "Garrett - Advancing Motion" upon successful completion of the previously announced spin which is expected to close before the end of the third quarter. The Garrett name ties back to Honeywell's turbo origins in the 1950s. At that time, entrepreneur and engineer Cliff Garrett led a project team to develop a turbocharger for a Caterpillar D9 crawler tractor that launched in 1954, marking the beginning of the turbocharged era for the automotive industry. Since then, Transportation Systems technologies and innovations have been used by nearly every major global auto maker, resulting in approximately 100 million vehicles with our products and an average launch rate of 100 new applications annually spanning, gas, diesel, natural gas, electric and fuel cell powertrains. Honeywell Transportation Systems has been using the Garrett name to brand its current portfolio of aftermarket replacement and performance upgrade turbochargers for gasoline and diesel passenger and commercial vehicles. The decision was made to name the new company Garrett to acknowledge its long history of innovation while adding the tag line " Advancing Motion" to embrace the future and the broader portfolio of differentiated products and services that Transportation Systems offers its global customers. The new Garrett company is well-positioned to be a global leader in turbocharger technologies with best-in-class engineering capabilities for a broad range of engine types across automobile, truck and other vehicle markets. It will build upon its established track record as an industry leader by providing innovative solutions helping auto makers develop electrified powertrains with our eBoosting solutions and connected vehicles that use our software for safe and secure performance. "There is a strong emotional attachment to the Garrett name, which has stood for pioneering turbo technology for more than 60 years and has made an indelible mark on the driving habits of millions of vehicle owners as well as the history of automotive engine performance," said Transportation Systems President and CEO Olivier Rabiller, "Moving forward, the Garrett name will continue to be synonymous with turbocharging technologies and also support the tangible progress and investments we have made in electric products, software and connected vehicles, and the future growth we see reshaping our industry." "We believe the next generation of vehicles will require a complementary mix of high-performance technologies to meet more stringent global environmental standards and demands for safer and more reliable electrified powertrains and connected cars," said Rabiller. 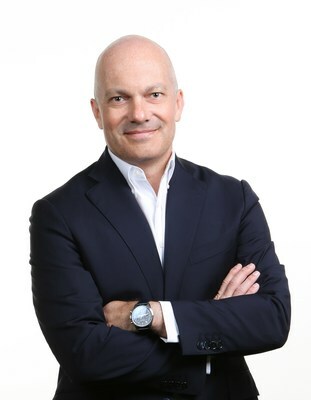 "We see our role as an enabler for redefining and advancing how technology will move people and goods. Garrett Advancing Motion captures both our traditional automotive domain experience as well as our capability for applying cross-industry excellence to solve problems." On Oct. 10, 2017, Honeywell announced its intention to spin its Transportation Systems business as well as its Honeywell Homes product portfolio and ADI global distribution business into two standalone, publicly traded companies. Garrett Motion Inc will be the legal entity name of the publicly-traded company upon successful completion of the spin (www.GarrettMotion.com). The Homes spin is expected to close by the end of the year. This release contains certain statements that may be deemed "forward-looking statements" within the meaning of Section 21E of the Securities Exchange Act of 1934. All statements, other than statements of historical fact, that address activities, events or developments that we or our management intends, expects, projects, believes or anticipates will or may occur in the future are forward-looking statements. Such statements are based upon certain assumptions and assessments made by our management in light of their experience and their perception of historical trends, current economic and industry conditions, expected future developments and other factors they believe to be appropriate. The forward-looking statements included in this release are also subject to a number of material risks and uncertainties, including but not limited to economic, competitive, governmental, and technological factors affecting our operations, markets, products, services and prices, as well as the ability to effect the separations. Such forward-looking statements are not guarantees of future performance, and actual results, developments and business decisions may differ from those envisaged by such forward-looking statements, including with respect to any changes in or abandonment of the proposed separations. We identify the principal risks and uncertainties that affect our performance in our Form 10-K and other filings with the Securities and Exchange Commission.